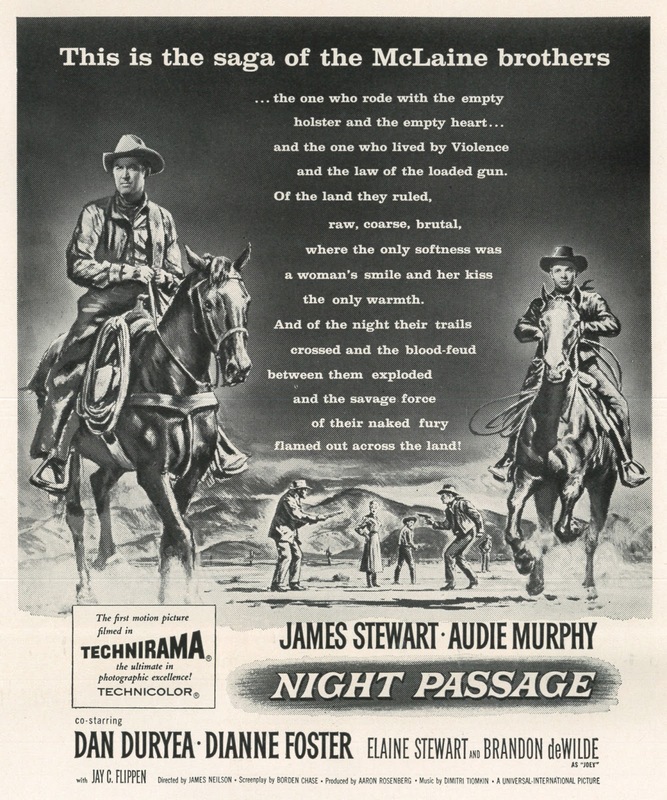 Night Passage has long been jinxed because Anthony Mann did not direct it, initial idea being he and star James Stewart together again after unbroke string of hits that were theirs for Universal release (plus one each at Paramount and Columbia). 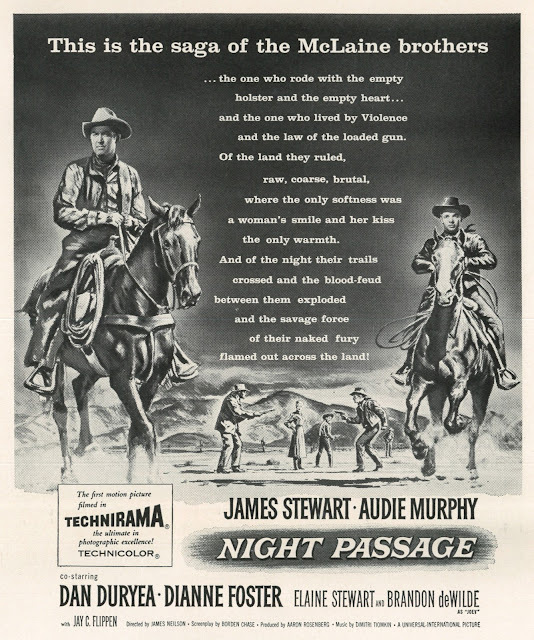 Mann did pre-production work on Night Passage (may even have megged portions), then split with Stewart. Creative rupture bled toward personal: They'd not team again, nor, by most accounts, speak, for the rest of Mann's lifetime. Cultists have posited Night Passage as a flop thanks to Mann pull-out, but Variety reports $2.6 million in domestic rentals, which along with presumed good foreign receipts, would pull weight of any "A" western kept within reasonable cost. 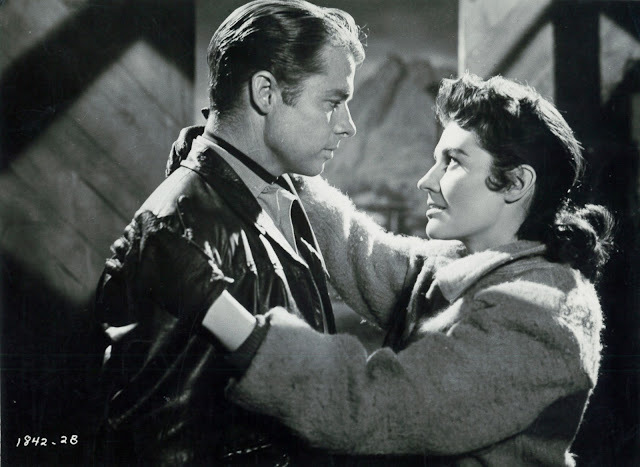 So who is due cheer for Night Passage success and sustaining interest? Not Stewart this time, what with "damned" (say modern critics) accordion, but to my reckoning, Audie Murphy, whose picture this was to steal, and steal it he does. Murphy was liked better in Southland wilds than any cowboy save perhaps Randy Scott, so his being along made Night Passage a must-see at Audie-centric Dixie drive-ins where two to four of his was norm for dusk--dawn bookings. The baby-face coiled spring said he couldn't act and so underplayed, that to yield current dividend where Murphy comes off best of a Night Passage cast. He was said to dislike the script and insisted on rewrites. Anthony Mann took his hike for a same objection. 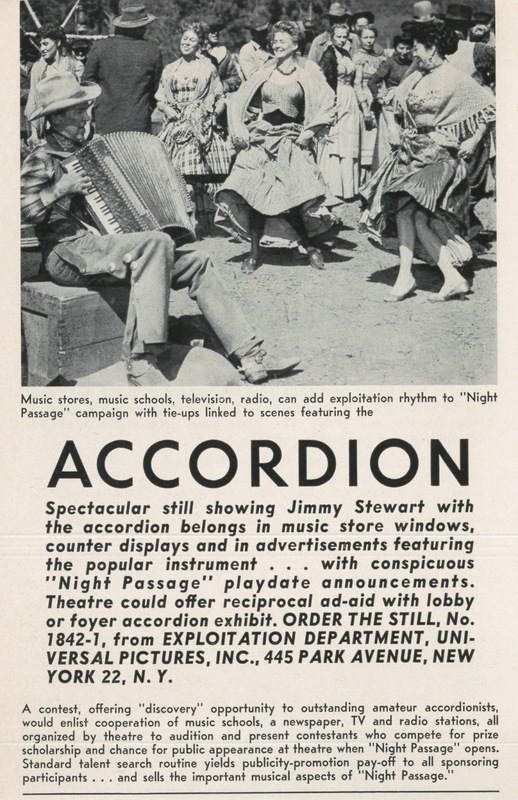 Stewart seems an only one to have admired Night Passage as was, his the big noise that would assure a go, ready or not. Clear too was him seeking image modification here. Scaled back would be his strung-out westerner with bad past, Night Passage looking more toward gentler Jim of 60's output. Vast-screen process Technirama was introduced by Night Passage, it being more-less squeezed VistaVision with advantage of width to accompany sharpness of VV. 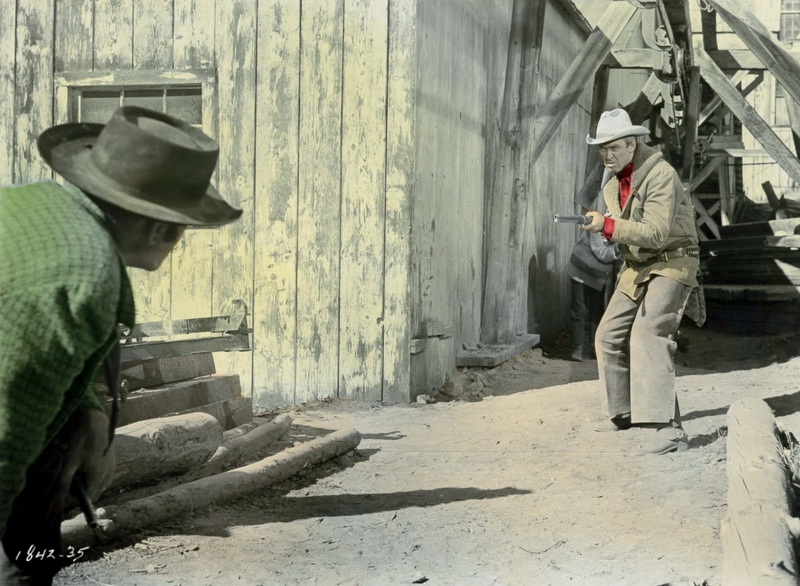 Initial dates would leave previous westerns in the shade, at least visually. That advantage fell away as Night Passage went humble and cropped to TV broadcast for decades after 1957, and it's but now we're able to see semblance of the show thanks to Universal's transfer to DVD, a nice job for 2004 when the disc came out, but begging now for Blu-ray revisit (rumor says Germany will yield that in 2016). Whatever Night Passage lacked in script, it more than made up with sweep. Locations still impress on wide projection, plus there's thunder of Dimitri Tiomkin's score that was major adjunct to selling when Night Passage was new. Tiomkin was at career peak in 1957. His music bespoke an important project, the composer in sufficient demand to pick/choose canvas to enhance with sound. The songs we think slow the action, "Follow The River" and "You Can't Get Far Without A Railroad," were valued aspects of bally, issued as 45 singles and sheet music. 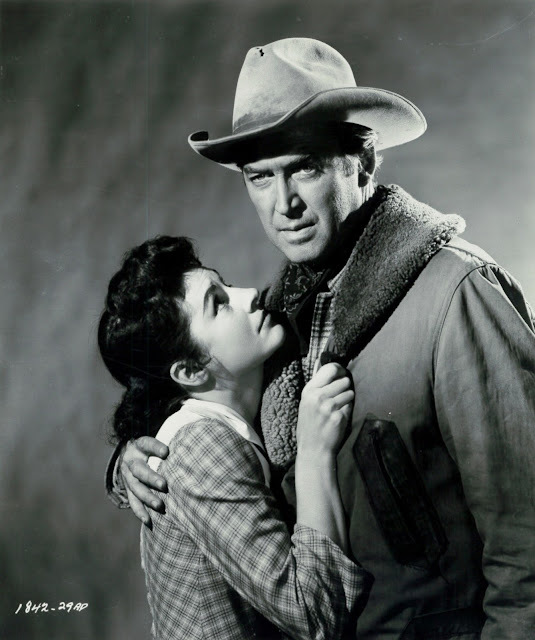 Rock and roll had dug roads deep by '57, but there was still room for novelty songs culled from widely-seen films, especially ones cleffed by Tiomkin and lyricist Ned Washington, a team that had made theme songs 50's sensational with High Noon. As noted, James Stewart went for normalcy this time re character, so we're spared neurotic ticks that dotted his western parts before. "Spared" is maybe not a right term, as moderns who fancy themselves dark dwellers tend to prefer Jim doing same, a wider and less specialized public clinging to him as stammering gramps of Johnny Carson shows and bad later pics. It was on a Carson couch, in fact, where Stewart told of giving up his accordion way back in youth when told how lousy he played, Johnny tactful as not to spoil fun by reminding his guest of Night Passage. 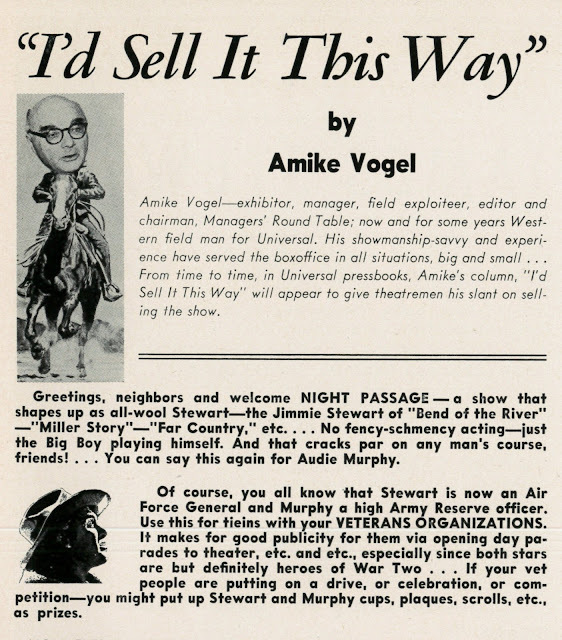 Bitterest cultist criticism of Stewart beyond letting Mann get away was his insistence on singing in addition to squeezing the box in Night Passage, a cold stop to movement in a first half that drags as result. Again, was this a wrong idea in 1957? Cowboys had vocalized, of course, and not just in B's. Kirk Douglas sort of spoof-sung in Man Without A Star, plucked a banjo as well, and that worked (for some anyway, and he did have a successful single), so Stewart could cite precedent where doubted. 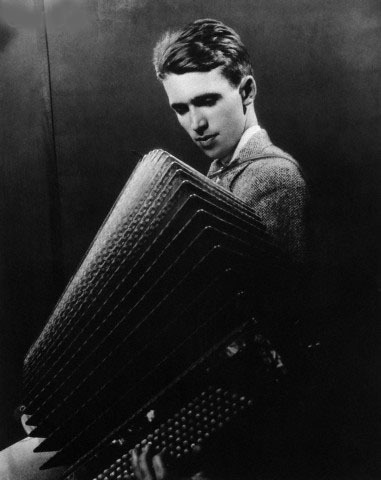 Besides, it was talent honed since childhood (Dad brought home an accordion when Jim was a boy), and there'd been 20's entertaining with chum and future magician/spook show immortal Bill Neff long before Stewart decamped to stage/films. Credited director for Night Passage was James Neilson. He had worked with Stewart on a television drama, Neilson getting Night Passage attributed to compliant nature that let JS run the shoot. I'd suppose there's truth in that. Big enough stars liked relief of pliable directors in wake of submission to unyielding ones. Stewart had lately dealt with Hitchcock, then Billy Wilder, neither of whom were pushovers, so why not a Night Passage break where he could have his way? 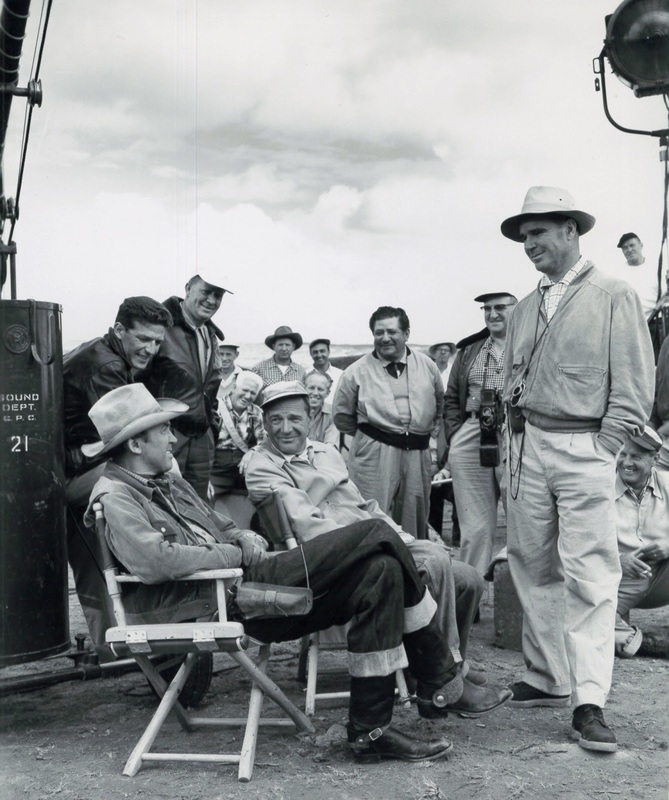 Anthony Mann spoke to their split in a 1965 Sight and Sound interview: "The story was so incoherent that I said the audience wouldn't understand any of it, but Jimmy was very set on that film. He had to play the accordion and do a bunch of stunts that actors adore. He didn't care about the script whatever, and I abandoned the production. The picture was a total failure, and Jimmy has always held it against me." Pretty damning, and I wonder if someone forwarded a copy of the magazine to Stewart. If so, we may assume his resolve not to speak with Mann again was at the least renewed, if not redoubled. But what a shame they couldn't mend fences and get together on Shenandoah and The Rare Breed, a pair of blighted Universals that could sure have used a Mann in charge. As indicated, Night Passage was no "total failure" as Mann alleged. With its cast and promise of action with color and Technirama, how could Universal miss? To assurance of a hit, they'd assign promotional whiz A-Mike Vogel (sometimes called "Amike") to ramrod the campaign, he of selling success from 1910. Vogel got at essence of product value and knew at a glance what would pull for Night Passage. 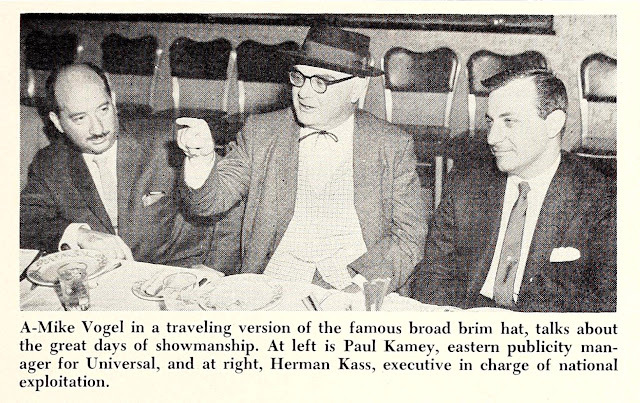 He cited the songs, Tiomkin/Washington "magic names in DJ circles," and assured there'd be "No fancy, schmency acting" from "all-wool" James Stewart --- "just the big boy playing himself." Further points for promoting was Stewart and Audie Murphy's war records, good for lending conviction to he-man parts they'd have in Night Passage. Vogel's credo: "If a press agent on assignment admits he has had a good night's sleep, he's not working for the picture. That goes too, if he hasn't been arrested in the last month" (Vogel did many nutty stunts that bought him jug time). What a shame men like this weren't subjects of later oral history, A-Mike with a lot more to tell than yet another old director or actor repeating canards or outright lies. IN THE WORKS: Author Robert Matzen is busy at completing his definitive account of James Stewart's wartime service, Mission: Jimmy Stewart and The Eight Air Force, progress of which can be followed HERE. Matzen's extensive research and interviews with veterans who flew with Stewart are basis for what promises to be a major publishing event in 2016. I'll keep it simple...love Audie Murphy on screen and off. My family's drive-ins were packed anytime we played an Audie picture. Didn't matter the title. Just his name on the marquee and in the newspaper ads would do it. Tony Curtis fans should love Murphy, too. Tony's ego saw the light just in time to continue breathing. 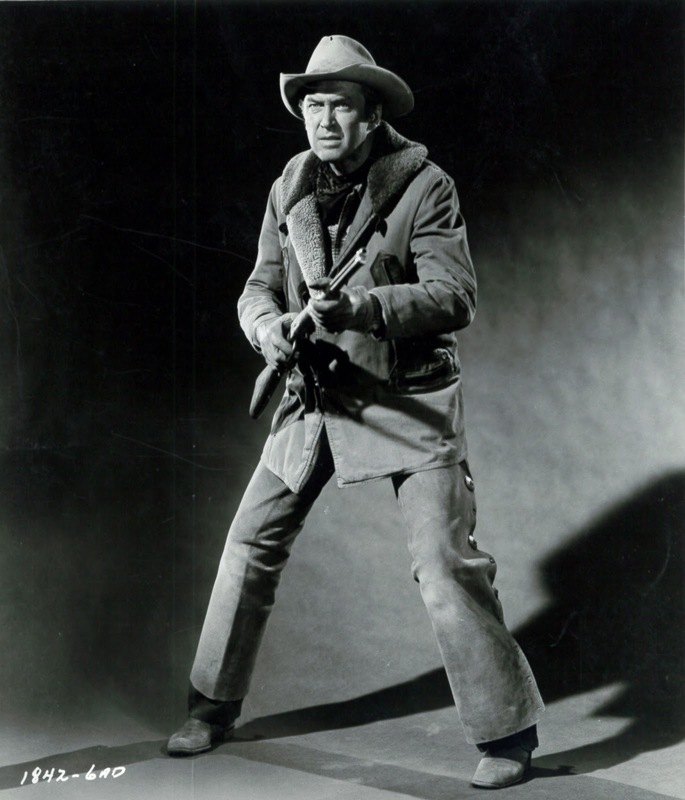 I'm with Anthony Mann. Stewart should have listened to him. Not one of my favorite westerns. 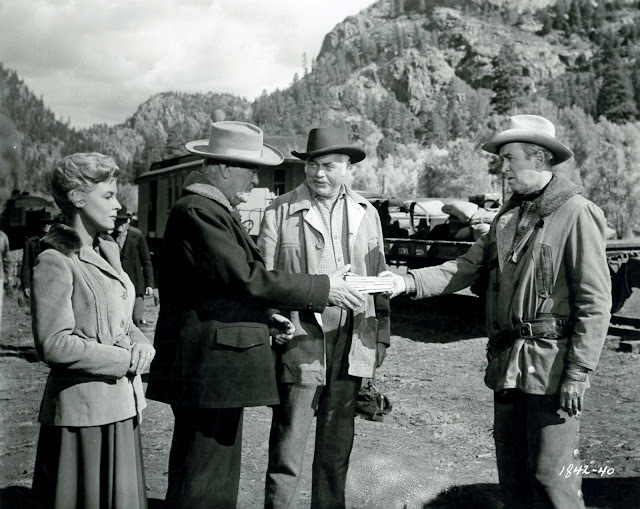 "Night Passage" could fill our local cinema anytime, not only for Jim and Audie but for the moment when the two greatest heavies, Dan Duryea and Jack Elam, square up to each other at the bar. You just had to see it with an appreciative audience! I know this will be an unpopular opinion, but I rather like Night Passage -- perhaps more than the Mann films. There is a real sweetness to it, particularly in Stewart's relationship with the boy. I also think Stewart and Murphy are surprisingly effective together, and Duryea overacts with relish. Not everything has to be dark and gritty ... and Night Passage is just fine as it is. I know this will raise eyebrows, but I rather like Night Passage -- better than some Mann pictures. The relationship between Stewart and the boy is very sweet, and Murphy and Stewart play well together. Duryea overacts, but it's a colorful performance. The picture also looks great ... vibrant color and sweeping vistas. I revisit Night Passage more readily than the Mann films; not everything has to be dark and gritty and Night Passage is just fine as it is. Another one I took a look at and immensely enjoyed because I read about it here. Once Murphy was revealed as Stewart's brother it was clear he'd have to get a bullet before the end of the picture. What was not clear was how it would be played out. It was played out well.